YPSA and International HIV AIDS Alliance made an official contract for implementation of a project titled “Better Sexual and Reproductive Health & Rights for Young People Affected by HIV( Link UP)” at YPSA head office on 30 June, 2015. Md. Shamser Uddin Mostafa from International HIV AIDS Alliances, Md. Arifur Rahman, Chief Executive of YPSA, Md. Mahabubur Rahman, Director (Social Development Program) and Palash Chowdhury, Director (Finance) of YPSA were present during the signing program. 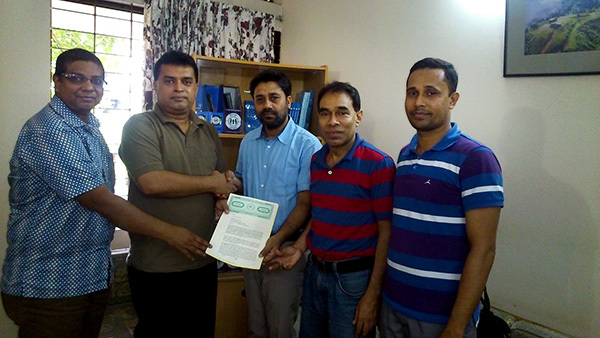 Syed Asshraf Ullah, Project Coordinator of YPSA and Prabal Barua were also present in the signing ceremony.